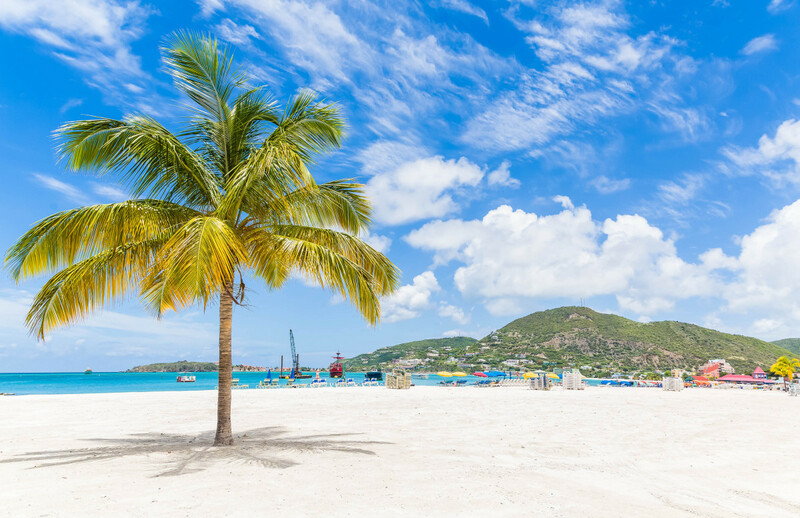 Utrecht / Philipsburg – The Sint Maarten Hospitality and Trade Association (SHTA) and Carib Beer have started their yearly Event Calendar Campaign. The official start was marked by handing over the first editions of the 2019 National Event Calendars to Ministers Stuart Johnson (Ministry of Tourism, Economic Affairs, Transport and Telecommunication) and Valerie Damaseau (First Vice President of the Collectivity of Saint Martin) last week on the Dutch Vakantiebeurs, whereas today the calendar will be actively distributed by many channels both physically in poster format and digitally to partners and representatives of Sint Maarten abroad. The Calendar’s goal is to show the island has much to offer to the tourist again as it recovers from the 2017 hurricane season. The handover took place at Holland’s largest vacation fair “Vakantiebeurs” in de Jaarbeurshallen in Utrecht where both countries’ tourist boards had a joint booth informing European tourists on their vacation opportunities in the presence of both Dutch side and French side ministers of tourism. The creation of this year’s edition is actively assisted by the tourism offices of both sides of the island. As the calendar’s main supporter, Carib Beer will disperse many calendars by its own partnerships. After the official launch by both Ministers, the calendar has been spread to members and partners of the island domestic and foreign. In addition to international websites and representatives placing the calendar on their websites and channeling the Sint Maarten events by Facebook, this year’s edition is placed in SHTA’s 2019 in-room VISIT magazine. 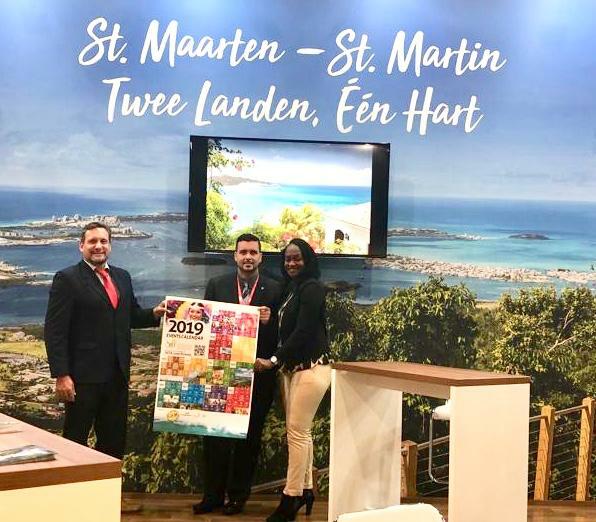 As with its previous editions, the Sint Maarten Event Calendar will be provided to its members, as well as interested individuals, for spreading the word of the many events Sint Maarten has to offer in 2019. As has been the case with the last Event Calendars, local artist Loic Bryan designed the artwork for the SHTA / Carib calendar. Special attention is given to the design in order to have the calendar be a true business card for Sint Maarten’s business community. Both local and domestic users have requested the calendar as a successor to their 2018 edition. Next to commercial events by SHTA members, the calendar tries to support events and fundraisers of non-governmental organizations supporting Sint Maarten society and culture. In coordination with the Sint Maarten carnival foundation, the many events of the special 50th edition of the Sint Maarten carnival coming up received special attention. All events will be placed and updated regularly at shta.com/events and downloaded entirely at shta.com/events2019. The previous calendars have been downloaded well over 1000 times from countries in the Caribbean, Europe and North and South America. Interested Sint Maarteners that would like an event calendar for personal use or have an event for next year’s edition can call 5420108 or freely request a copy of the calendar at marketing@SHTA.com.